There are many project management tools you may familiar with such as, Basecamp and Trello. Well, Office 365 Planner is also a very powerful project management tool, which Microsoft has come up with. The planner is a very lightweight, this project management software enables allot tasks, build strategies, teams to organize and not only sharing files, also enables chat on with your team members. This piece of tool can help you to organize your team in very effective way, manage your marketing event and also help to keep track for school projects. Microsoft Planner is the newest application that is the part of the Office 365 package. 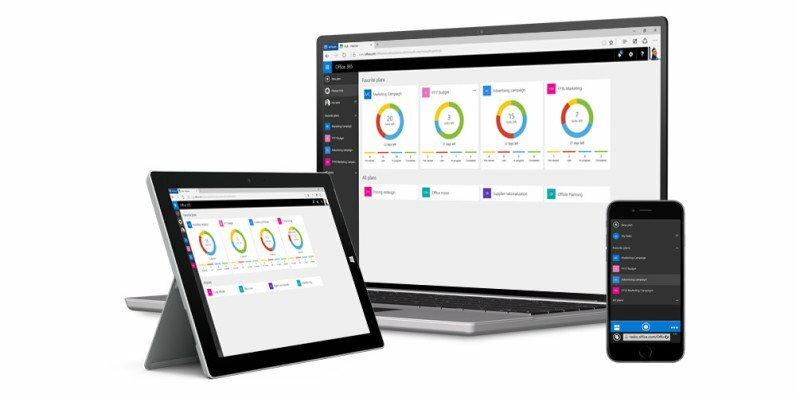 Planner is totally a new experience in Office 365 to organize work, manage, and assign tasks and collaborate within your team. Planner offers you the simple and visual way to organize teamwork. You can use the planner to work with your ad hoc teams. Moreover, you can use it to manage events, user training and a variety of team projects. Planner is as simpler as it looks. It allows you to create cards for your tasks and put it separately in the plan known as “buckets”. In particular, buckets are very useful in making your plan more workable as it organizes the plan into separate topics. For example, for the plan “Marketing”, one can add the tasks such as Search Engine Optimization, Analytics, Social Media, Promotion, etc. Also, you can move the tasks from one bucket to another one to make tasks of the plan organize better. Cards or to-do assigned tasks to have the due dates, attachments, and links, comments, and checklists, and most importantly you can assign them to people you want in your team. There are 2 ways you can view your plan tasks. First of all, there is a board view where you can find the summary of all of your tasks. Then there is a chart view that exhibits the colored form of tasks demonstrating the not started, completed, on progress and late tasks. This tool allows you and your teams to manage and organize work visually, which is the most significant aspects of the Planner. Every Plan with a unique Board is just feels like using Trello. A card within each Board represent each item or task. With the option of attachments, linked conversations, categories and due dates, your work will be easy. Whenever a member assigned card and added conversation, user gets notification via email. By viewing titled ”My Task” let you know and filter down the work needs to be done on running project. It helps you to check, what is overall progress of the project, you and your teams are working on. Office 365-Planner is accessible in the Outlook on the Web, Outlook Groups Mobile Apps and Outlook 2016, which makes Office 365-Planner compatible. Office 365 Planner is suitable for any size of businesses and it comes with flexible price. With only $5 per user per month, the basic version, Office 365 Business Essentials can be used. It comes with email with 50 GB mailbox, 1TB of online storage, HD video conferencing and Office Online. The second one cost $8.25 per month per user, the featured include in the plan is fully installed Office on Mac/PC, Office apps on phones and tablets & 1 TB of file storage and sharing. The last Premium plan cost $12.50 per month per user. It comes with the feature of 1 TB of file storage and sharing, email with 50 GB mailbox, fully installed office on Mac/PC, HD video conferencing and office apps on phones and tablets. Well, the answer for this question is very easy. 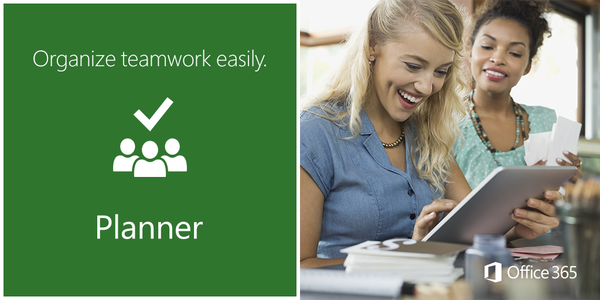 The Office 365 Planner helps you and your teamwork to get things done easily and very effectively. With just a few click you can manage your team and be in touch with every team member.